GroupMail version v5.3.0.134 is now available to download from the GroupMail Customers Area. 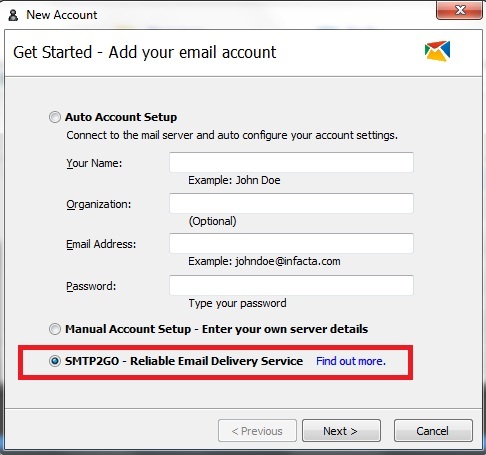 New: SMTP2GO Email Delivery Service now supported in Account Manager. Fixed: Account Manager Auto Mode displays correct email address on retry. Fixed: Account Manager tab sequence corrected. Fixed: Cursor no longer disappears while tabbing within Account Manager. Fixed: ListView rendering in manual link tracking dialogue fixed. Fixed: Previously tracked Insights URLs supported in plain-text mode. Fixed: Plain-text tracking of URLs now supports embedded entities. Fixed: Merge field in URL no longer causes blank messages. Fixed: In HTML mode, hidden merge fields in URL are properly validated. Fixed: Unique tracking no longer commandeers the !*EMAIL*! merge field. Fixed: URLs containing HTML encoded characters can now be tracked. Fixed: Inserting Open Rate Counter when in plain-text mode is validated.